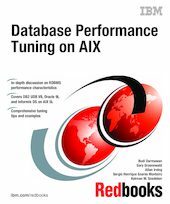 This IBM Redbooks publication is designed to help system designers, system administrators, and database administrators design, size, implement, maintain, monitor, and tune a Relational Database Management System (RDBMS) for optimal performance on AIX. RDBMS is usually a significant factor in building the profit line of a company. They represent an important investment and their performance is vital to the success of the company. This book contains hints and tips from experts that work on RDBMS performance every day. It also provides introductions to general database layout concepts from a performance point of view, design and sizing guidelines, tuning recommendations, and performance and tuning information for DB2 UDB, Oracle, and IBM Informix databases. The performance tips provided here relate to the things that a system administrator or database administrator can change. This book does not cover performance tuning issues that relate to application and database design, including SQL query tuning.